Zenith Watches is among the most renowned Swiss luxury watchmakers best known for creating breathtaking pieces of horology on the planet. Zenith is proud to be in the company of elite watchmaking companies that still produce their watch calibers in house. The Zenith Watches El Primero caliber, launched in 1969, continues to be the most notable production out of the Zenith roster. The Zenith Watch El Primero was one of the very first calibers that could measure one-tenth of a second for the range of calibers in the market at the time. This was due to the fact that the movement for this caliber was a staggering 36,000 vibrations per hour. This was a far cry from the industry average of a paltry 26,000 vibrations per hour. This feat by Zenith Watches was so impressive that for 12 years, from 1988 to 2000, Rolex used this movement for their acclaimed Daytona Chronograph. To date, the Zenith El Primero 38mm continues to maintain the look and feel of the vintage Zenith watches of yesteryears, a quality that continues to be appreciated by Zenith watch lovers all over the world. Zenith watches El Primero are well on their way to becoming classics that will feature prominently in horology’s hall of fame. Zenith Defy watches are characterized by a rebellious pop of color against more traditional colors and combinations, clearly demonstrating welcome defiance to the status quo as far as watchmaking is concerned. Zenith Watches continues to assert this in its horology, even as it scales the heights of performance and accuracy of the modern luxury chronometer. Perhaps the single most recognizable watch out of the Zenith Defy collection is the Zenith Defy El Primero Swizz Beats, primarily because it runs on the famous El Primero movement. The Zenith Defy El Primero 21 too features this iconic movement, only this time with an incredible skeletonized dial. The participation of the Grammy award-winning rapper Swizz Beats, who was instrumental in the creation of this watch, also adds to the popularity of this watch. The rapper lends his name to the Zenith Defy Zero G Swizz Beats watch, which features Zenith’s ‘Gravity Control’ aimed at maintaining the watch’s accuracy by curtailing the effects of gravity on the balance wheel. Zenith’s association with successful brands did not end with Swizz Beatz. 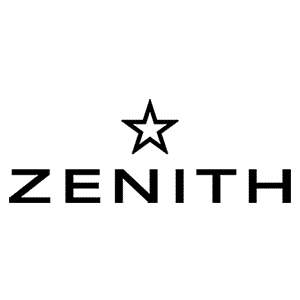 In 2018, Zenith came into a partnership with the legendary British car manufacturer Land Rover to introduce the Zenith Defy Classic Range Rover. The 41mm dial perfectly suits all sexes and renders this watch highly desirable to discerning watch enthusiasts and Range Rover lovers as well. Zenith Chronomaster watches continue to carry an iconic quality to them and remain dear to the Zenith Watch brand. This could be due to the quintessentially Zenith ‘heart’ that beats inside the case of the Zenith Chronomasters, or the impeccable performance that the watch offers its wearers. Either way, the workmanship exhibited by this celebrated timepiece is absolutely remarkable. First in this collection is the Zenith Chronomaster El Primero Full Open chronograph. This spectacular timepiece spots an open dial which reveals the workings of the iconic movement that powers it. A large date is also prominent on the face of this watchmaking only a glance necessary to read the date from your watch. In keeping with the innovation that Zenith has continued to be known for over the centuries, a silicon escape wheel is included inside the case, making for better accuracy and overall improved performance of the watch. A tastefully done counterpart of this beautiful masterpiece the Zenith Chronomaster El Primero Open Lady was created for the quintessential Zenith lady. This watch features an alluring oval rose gold bezel set with diamonds all around. It also sports a beautiful white mother-of-pearl dial that dazzles with a unique iridescence. The Zenith El Primero Open Lady is not only a functional piece but also a great accessory that is a definite conversation starter. In the relentless quest for perfection, Zenith presents the El Primero Skeleton watch – a 45mm chronograph encased in stylish black ceramic. A composite black rubber and carbon fiber strap also features as one of the unique design elements of this watch, adding a futuristic dimension to an already stunning chronograph. Besides the movement that powers this watch, the Zenith El Primero Skeleton hands are coated with Ruthenium- a metallic chemical that is similar to platinum. This heavy metal does not oxidize, ensuring that the hands of your El Primero Skeleton watch remain legible for as long as possible. Zenith Watches continues to make great strides in these innovative pursuits. Speaking of great looks, a favorite of watch enthusiasts of the Zenith Watch brand is the Zenith Chronomaster El Primero Solar Blue. This stunning watch features a striking ‘solar blue’ dial that contrasts beautifully with the stainless steel case. In keeping with tradition, this watch comes in the original 1969 case- a definite treat for the conservative Zenith lover. Imagine for a second that you were a fighter pilot; making split-second maneuvers, battling the G- force, and having to check your watch while contorted in a tiny cockpit. What is the one thing you would require to make you an effective pilot and probably keep you alive? If you guessed a legible watch, then you are absolutely correct… and the Zenith Watches team beat you to that answer. Zenith launched a series of spectacular performance pilot watches that perfectly captures the needs of the pilot, be it in performance or reliability. The Zenith Pilot Type 20 collection boasts of the Zenith Pilot Type 20 Extra Special. This watch takes the prize for legibility with large Arabic numerals made wholly of SuperLuminova for extra clarity. The Zenith Pilot Cronometro Tipo CP-2 Flyback is not only an aviators dream but also captures the heart of the Zenith watches traditionalist as it is a reincarnation of the Zenith Cairelli model of the 1960s. It also features the El Primero movement which is a legend of horology from Zenith. Zenith Pilot Type 20 Chronograph Cohiba Edition. This beautiful timepiece from Zenith watches is a product of a stunning partnership between the Zenith watch brand and the world famous Cuban cigar makers Cohiba. In classic cigar style, the straps of this watch are made up of brown Kudu leather reminiscent of the tobacco outers of fine Cohiba cigars. The contrast that the matte black dial against the dark leather on this watch truly gives presence and poise to this watch. Couple that with the bronze case that slowly edges to create its own unique patina and you have a truly remarkable piece of art on your wrist. In the same artistic spirit, the Zenith Pilot Type 20 Ton Up features a case made of aged stainless steel and is created to pay special homage to the Café Racer Spirit. Explore our extensive collection here at Rattrapante to pick your favorite Zenith watch today! Zenith Elite – Setting you apart from the crowd, Zenith Watch style. The Zenith Elite watches collection is a ‘revival of a first-rate caliber’ according to Zenith. Zenith takes great pride in this caliber as it is a symbol of ingenuity and the in-house brilliance that Zenith possess and a definite edge over its competition in the watchmaking world. No one captures this adage better than Zenith Watches. The Zenith Elite Chronograph Classic is a beautiful watch with the most classic of attributes from the triple-articulated clasp to the alligator leather strap. The understated features of this watch speak class, beauty and mature sophistication. The Zenith Elite Classic features the Zenith Elite 679 caliber with a 50-hour power reserve and a 36,000 vibrations per hour frequency. Its case is created out of 18-carat rose-gold that is beautifully paired with brown alligator leather strap that’s bound to last a lifetime. The strap is lined with natural vulcanized rubber to protect the leather from oils and moisture from contact with the skin. The Zenith Elite Lady is a beautiful silver-toned, stainless steel watch that is made to a super smooth, super clean finish. This classic masterpiece is undeniably feminine in its rendition and is created for the discerning Zenith lady with an impeccable taste for a great luxury watch. It features the Zenith watches Elite 692 Automatic caliber under the case and a 50hr power reserve. Its counterpart, the Zenith Elite Lady Moonphase features a Moon phase indicator at the 6 o’clock position that is accentuated by a striking navy blue tone for perfect clarity. Browse our extensive collection of Zenith watches and make your pick today! Zenith Watches was started by Georges Favre-Jacot, a brilliant 22year old apprentice. Later on in life, he got involved with the architect, Alphonse Laverriere with whom a great personal rapport was formed. It is known that Laverriere was a proponent of functionalism in architecture and this perhaps influenced Zenith in later years to create the first ultra-thin automatic chronograph. The Zenith Watches El Primero Chronomaster has been described as ‘the legendary beating heart of the El Primero movement’ and is perhaps the most recognizable edition to leave Zenith’s factory floor in Le Locle. This watch has continued to carry the spirit of Zenith Watches throughout the years through the sheer mastery and craftsmanship that characterizes the Zenith El Primero movement and Zenith Watch brand by extension. Zenith women’s watches too bear all the hallmarks of the excellence of the brand. No effort has been spared in ensuring that the Zenith woman not only looks the part but feels the part as well. A masterful blend of feminine luxury and exactitude continues to persist in the DNA of the Zenith. From a Zenith gold watch to a Zenith diamond bezel watch, Zenith Watches has got all women covered when it comes to style, preferences, and value! Check out our wide collection of Zenith women’s watches here on Rattrapante! The Zenith pilot watch is the quintessential pilot watch, designed for brute performance and reliability. Zenith Watches seems to have brilliantly captured the spirit of the Renaissance with this beautiful watch by incorporating bronze into its build. The Zenith pilot watch, over the course of his use of the watch, will notice a beautiful patina forming around the case. Combined with the legible Arabic numerals made entirely out of luminescent material, the Zenith pilot watch patina poses the striking contrast of a seasoned classic and modern electric luminescence all in one case! Truly a sight to behold. Browse our large catalog and pick out your watch at the best Zenith watch price anywhere! The Rolling Stones has been billed as one of the most successful rock and roll bands in history, selling a record number of albums and topping charts for months on end. Zenith Watches too is set to become one of the most iconic watch brands in the history of watchmaking, and this commonality is perfectly captured and embodied in the Zenith Rolling stones watch; a tribute to the legendary English rock band. This watch features the unmistakable Rolling Stones red lips and tongue logo which appears on the southern end of the silver dial of this magnificent relic. Even the black leather straps, in remaining faithful to the rock theme, features rock and roll insignia. Only 250 of these watches were created and each retails at a little over $9,000.